Even before you send your child to college, you have another important decision to make. Where should they go to high school (or even middle school)? The high school your child attends will affect the quality of their education and their college options. While there are a lot of points to consider, here are the top 8. Advanced Placement (AP) Class Availability and Pass Rates. AP classes often qualify for college credits, if the student passes. Find out if the school offers AP classes, what type, how many, and do they earn college credits. A strong AP program suggests high standards and that your child is likely to be challenged academically. The pass rate lets you know if the AP program is successful. STEM stands for science, technology, engineering, and math. Even if your child does not plan on pursuing a career in one of these specific areas, a strong STEM background is vital to success in both college and the workplace. The skills learned through these subjects are useful and necessary to succeed in any 21st-century field. College attendance rates are important, but they only tell part of the story. Ask what colleges graduates are accepted to attend. Ideally, graduates will be accepted to a variety of quality colleges and universities in significant numbers. Ask to see several years of data. Check to see how many students are accepted to schools where your child plans to apply. Smaller is usually better. But, if the school has a higher ratio, how do they deal with it? Do they utilize small groups? Provide individualized assignments? Give personal attention to each student? Smaller schools usually allow for more individual attention. Decide what is best for your child. Also, inquire about the availability of college counselors. There should be enough to give each student proper guidance and attention. A counselor that really knows your child will be beneficial throughout the whole process of choosing and applying to your child's college of choice. Does the school emphasize the importance of co-curricular activities? Co-curriculars allow students to pursue interests outside of standardized academics. Through these activities, students have the flexibility to explore areas of interests and nurture their talents. 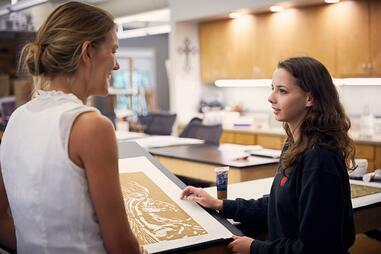 Ask what opportunities the school offers outside of the classroom and after school. Can students grow and excel in athletics, the arts, or academics? Through these activities students widen their social circle, learn problem-solving skills, time management skills, collaboration, and more. Test scores are not the only thing that matters, but they are an important indicator of the type of education a school provides. While test scores don’t always take into account some of the intangibles of student success like work ethic and determination, school-wide scores can give you an idea of how students compare on paper. They provide a measurement of how successful the school is at preparing students for college and beyond. Ask for yearly averages for SAT and/or ACT scores for the last 5 years. And, ask for a few years worth of graduation rates and college attendance rates. A diverse student body teaches children to be aware of and sensitive to cultural issues and differences. It prepares students for the diversity of a college campus and the greater world. Schools are preparing future leaders, and leaders care for the needs and concerns of all. What kind of community do you want for your child? If you're interested in a faith-based school, find out how many services or chapels are offered each week and attend one. Is faith discussed in classes? Are Bible classes offered as part of the curriculum? Are there Bible studies for parents? 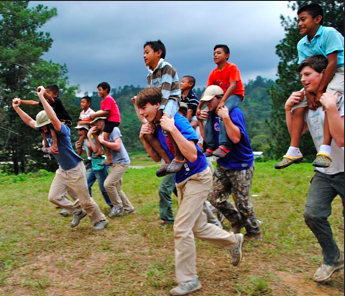 Are there opportunities for your child to put their faith in action through service and mission trip opportunities? Find out what the social culture of the school is like. To know the culture of the school, you have to visit for yourself. How do students and teachers interact? Do they treat each other with respect? Is there much parent involvement? Check out the parent groups and volunteer opportunities to get an idea. Choosing a high school is an important decision many make as a family. Discuss these topics and priorities with your child before and after visiting prospective schools. Weigh your options and determine the best fit for your child and family. Together, you can make a choice that will start your child on a path to success. 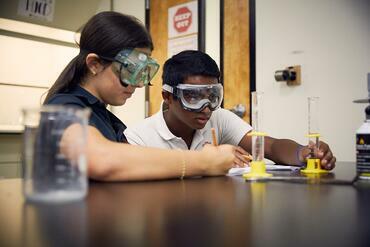 Explore the well-rounded education Greater Atlanta Christian School can offer your child by visiting our webiste and visiting our campus to see our teachers and students in action. Schedule your visit today!